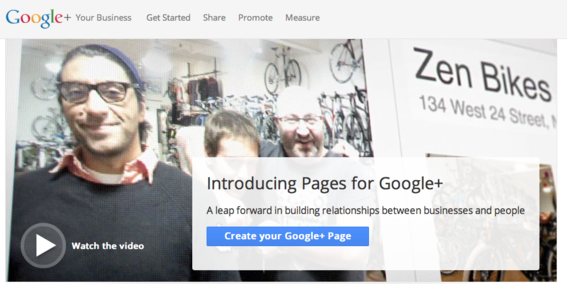 Google announced last week that it has launched Pages for business in its Google+ social network. I addressed this topic in my “Social Retailer” blog last week and listed what I suggested are three possible benefits. Direct connection to search. Through the use of the “+1” button, Google has tied Google+ directly to its search. There is also a feature currently under experimentation called “Direct Connect” that will allow searchers to find Google+ business pages directly from search. Better audience segmentation. With Circles, Google+ gives businesses a better way to segment audiences, which means messaging can become more relevant and timely. Face-to-face connection with customers, employees, and vendors. The live, streaming video component of the platform, Hangouts, enables businesses to create live, virtual face-to-face connections with customers and others. 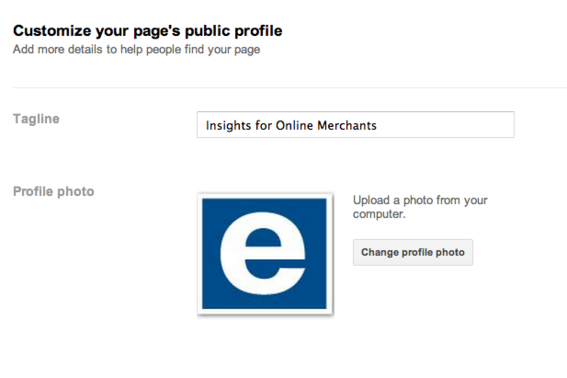 In this article I outline how to set up a Google+ for merchants who wish to do so. Setting up a Page is a simple process that should take no more than five minutes. Step 1. 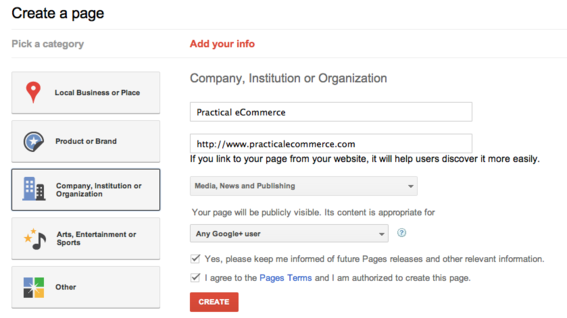 Go to the Google+ Business Page and click the blue “Create Your Google+ Page” button. Google+ now offers Pages for business. The first step in setting up a Page is to pick a category. If those sound familiar, it’s because they mirror almost verbatim the same categories used by Facebook in its Pages platform. I was especially surprised by the use of the term “Place,” as that has been a Facebook staple for sometime. Step 3. Add a tagline, upload a profile banner, click the “Continue” button and your page is created. Upload a profile image and add a tagline. Once that’s done, Google+ gives you the opportunity to share the page with your circles. The post will come from the individual who set up the page, not the page itself. During the page creation process, only a small amount of information is requested, so you will need to add more content to your profile “About” page. Options include providing introductory information, contact information, a link to the website and links to other recommended sites. The types of information available depend on the category chosen. For example, if you choose Local Business or Place, you can add operating hours. You can also set the visibility to determine who sees what information. Use additional information to complete the “About” page in your profile. Once the business page has been created, there are six primary activities you can engage in. Post status updates. Posting content will probably be the primary way you use Google+. Also, like Facebook, Google+ allows page owners to interact as the “page,” not as the individual. Google+ allows users to interact as the page. 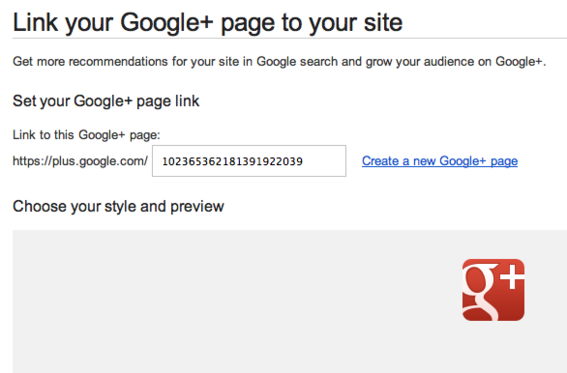 Link your Google+ Page to your website. Google+ provides a badge that connects to your page, which can be embedded on your website. This brings more visibility to your Google+ page and helps to increase the number of recommendations (+1s). Add a Google+ badge to your website to increase visibility. Build your Circles. Once users add your page to their circles, you can add them to yours. Google+ automatically provides pages with a set of circles, including: Following, Customers, VIPs, and Team Members. You can also create other circles, if needed. Add users to Circles once they add your page to theirs. Start a Hangout. Hangouts are live video chats through which you can connect directly to up to nine other people. Add the +1 button to your website. When Google+ users click the button, it is shared with their circles. Add Google+ Direct Connect, if eligible. This is an experimental feature that is currently only available to large brands. However, Google will be making the feature more widely available over time. 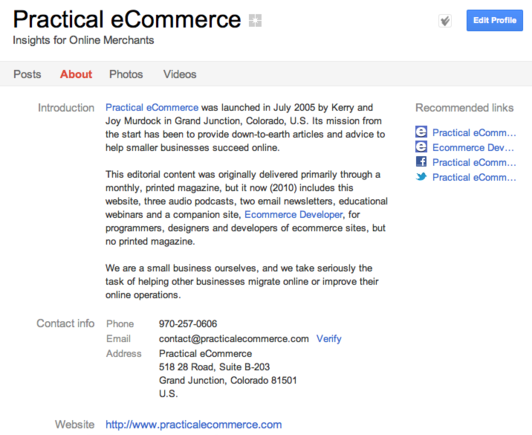 For those who qualify, Google requires that a link be present from the merchant’s website to the Google+ business page. The features for Google+ business pages fall short of those available on Facebook, not the least of which is the ability to add custom apps. Google likely will add more features in time. Until then, the social network may serve as a second-tier channel through which you can build some brand equity and, perhaps, also improve search returns.